Some spinal conditions cause more chronic pain than others, and sciatica is one of the more well-known ones. Patients with sciatica are often worried about facing years of medication or invasive back surgeries to mitigate the symptoms, concerned that they won’t be able to get through their daily tasks without pain, side effects or long recovery periods. If you are afflicted by numbness, tingling and radiating or “chasing” pain, you may be among those patients – but don’t let your fears get the better of you. If you are suffering from sciatica in Hilton Head Island, Fraum Chiropractic Life Center is here to make sure you retain the quality of life and pain-free lifestyle you deserve. Common yet debilitating in some of its more severe forms, sciatica takes its name from the sciatic nerve, which is found running between the lower back and the legs. Sciatica involves several symptoms – the numbness and tingling mentioned above, most prominently – and can be caused by a variety of factors, including spinal stenosis (narrowing of the spinal canal), a slipped disc or degenerative disc disease. Once the sciatic nerve has been damaged or compromised by these physical aggravating factors, the patient will experience the symptoms in his or her spine, legs, and even feet. Generally, these symptoms will only be felt on one half of the body at a time, but may shift sides with movement. While approximately 1 to 2 out of every ten sciatica patients will require some form of surgery for complete pain management, chiropractic treatment has excellent results and is a non-invasive pain relief option for the other 8 or 9. When patients visit our Hilton Head Island chiropractic office, we use manual examination and x-rays to diagnose sciatica and immediately organize a personalized treatment plan. Through chiropractic care, inflammation is reduced, flexibility is restored and pain is mitigated, ensuring that sciatica doesn’t disrupt our patient’s life any more than it already has. In addition to chiropractic care for sciatica, our leading Hilton Head Island chiropractors are well-versed in other alternative therapies that help support spinal health. During your scheduled visits, our chiropractic team will discuss your condition with you and demonstrate stretching and support exercises that will aid the body in recovery and a pain-free “status quo.” They’ll also be able to answer any questions you may have about nutritional supplements, diet and other factors that could speed or impede the body’s ability to work around your sciatic flare-ups. If you aren’t sure if your body is in the right condition for upcoming events – moving boxes, certain work-related movements, marathon running, and so on – our staff will be happy to consult your case and advise you on the best course of action for your health. Is your sciatica holding you back? 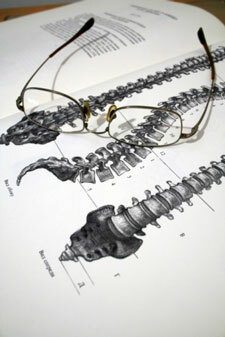 Let us help put it – and your spinal health – back on track. Get in touch with us and schedule your appointment today!